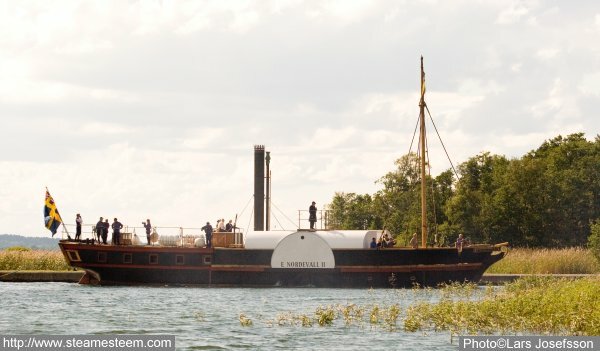 A replica of the paddle steamship Eric Nordevall built in 1836 and foundered in 1856. The wreck has been found in surprisingly good condition at 45m depth. 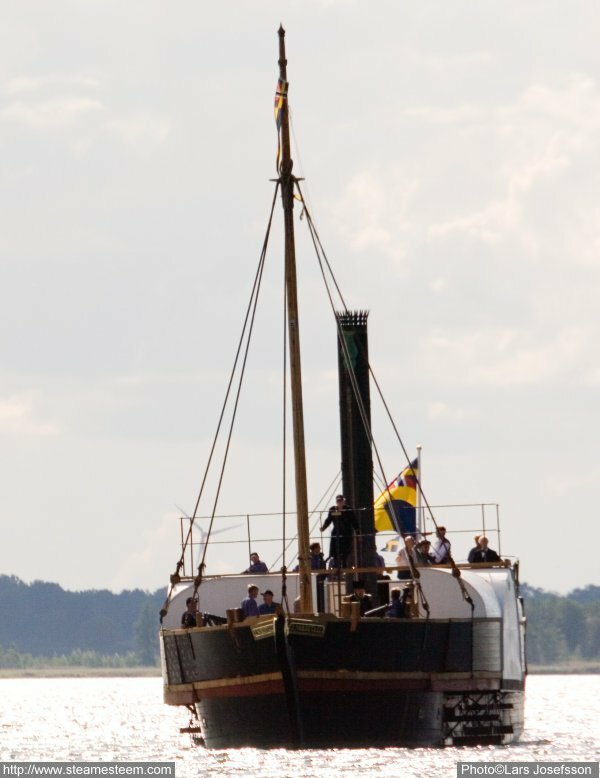 The Steamship Eric Nordevall II with the union flag flying. 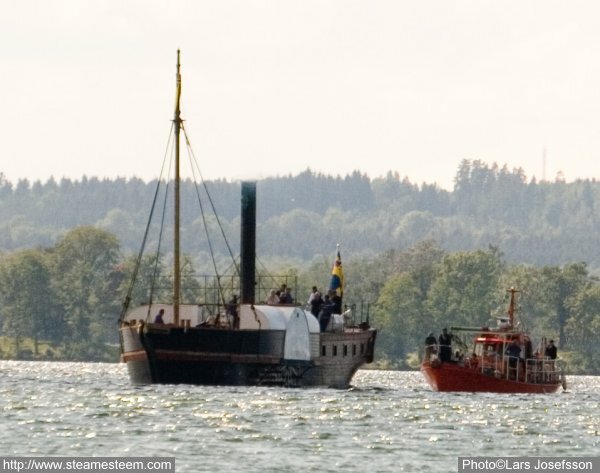 The Paddle steamer Eric Nordvall II was followed during her maiden voyage by a pilot boat, whose main task seemed to be taking photographs and documenting the trip. 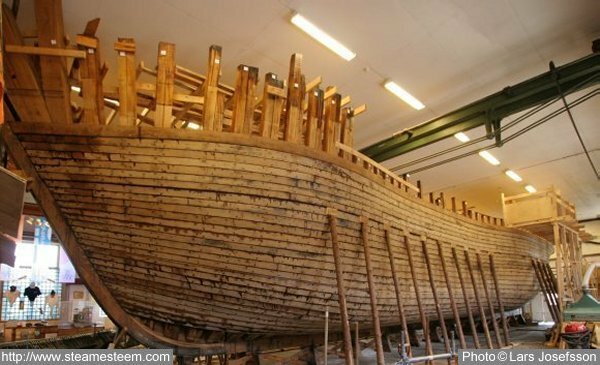 The hull is built of oak from Visingsö in the lake Vättern. The sidewheelers outside planking almost finished. Notice the inward bended hull that gives the steamship a violin-shaped look. Now when the paddle wheels and the wheel houses are mounted the steamship's, violin-shaped look is less obvious, at least from the outside view. 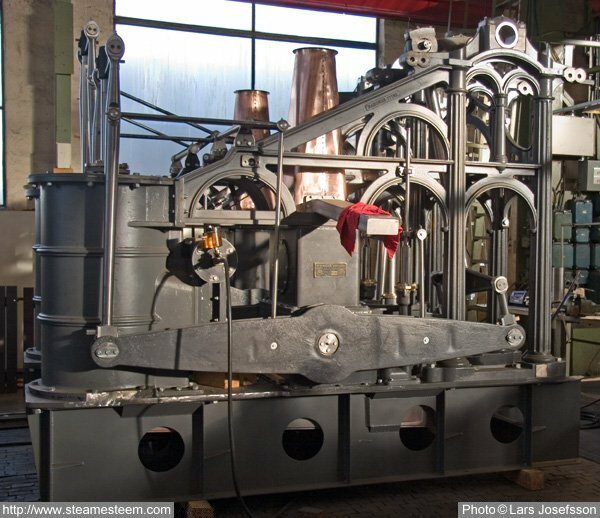 Daniel Fraser's steam engine has been copied and put together at Motala Verkstad. 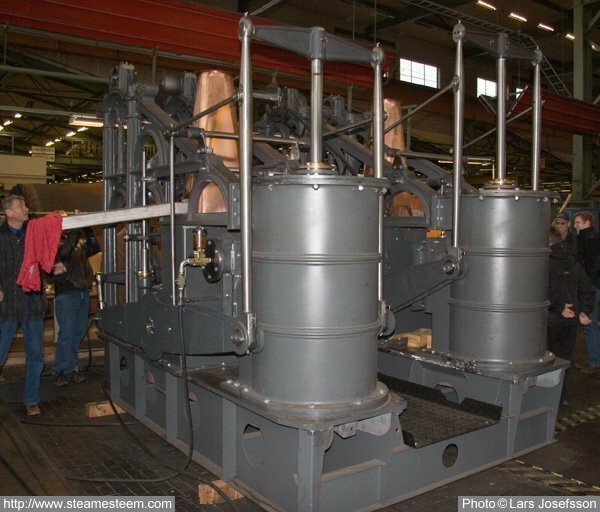 The engines have been tested with compressed air at the workshop. Installed on the paddle steamship Eric Nordevall II it will get steam of just 0.8 bar from the boiler. The exhaust steam from the cylinders meets the condenser vacuum 0.3 bar. The two side-lever engines are connected together and work on the same crankshaft. The paddle-wheels' shafts will be connected as extensions of the crankshaft. At the paddle-wheels' maximal speed, 20 r.p.m., the ship will reach a speed of seven knots. for the side-wheeler steamship Eric Nordevall II.